This rainbow nursery wall art sign is the perfect decor to decorate for your rainbow baby’s nursery. 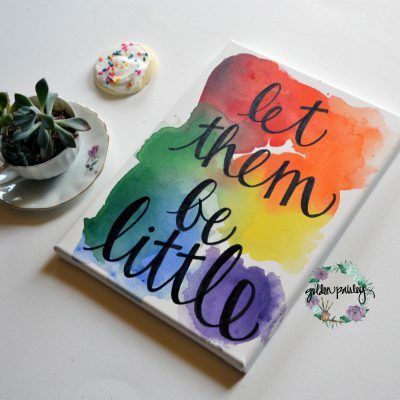 A rainbow signifies joy after a storm, and a rainbow baby is a celebration of life after loss. 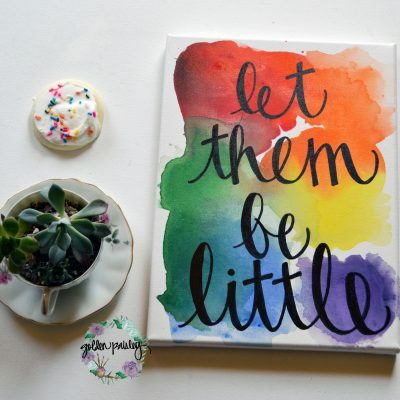 It has been such a blessing to see rainbow themed nurseries for sweet little rainbow babies. 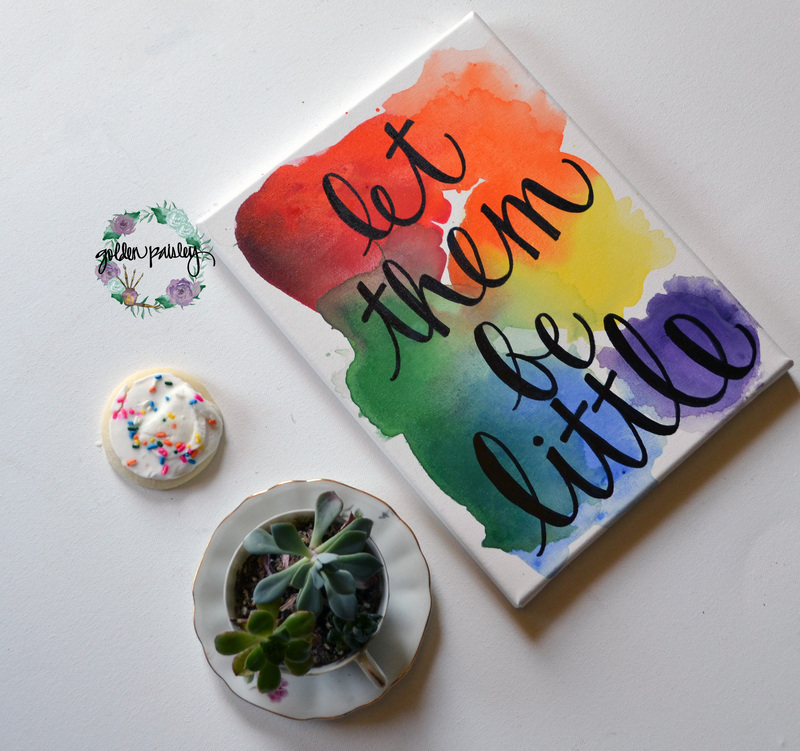 This bright and colorful rainbow watercolor blends together to create a one of a kind, unique canvas. 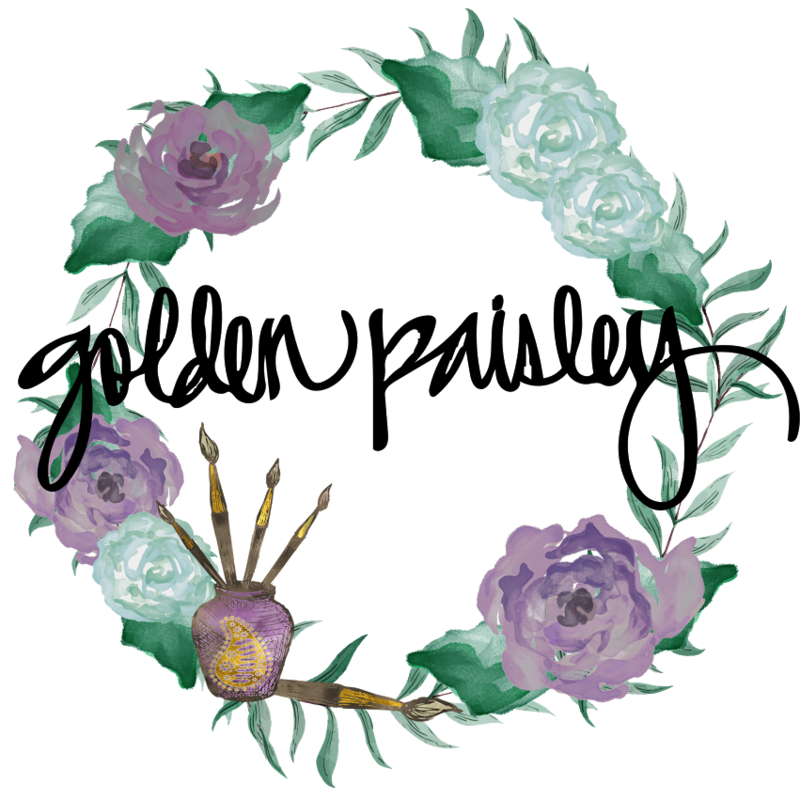 The rainbow colored paint will blend differently in each canvas, creating a unique piece, just like your sweet unique little baby. 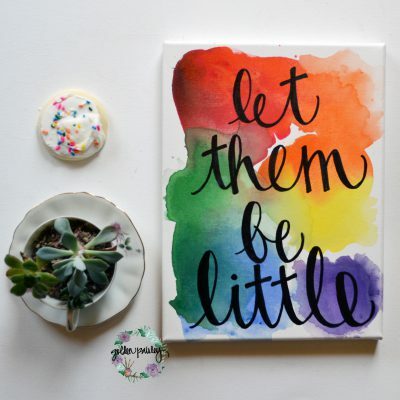 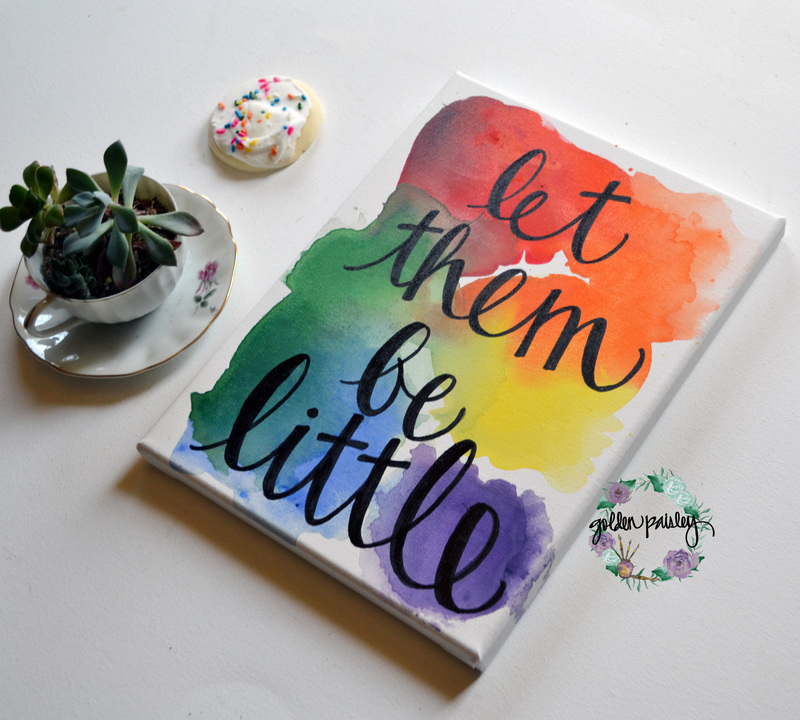 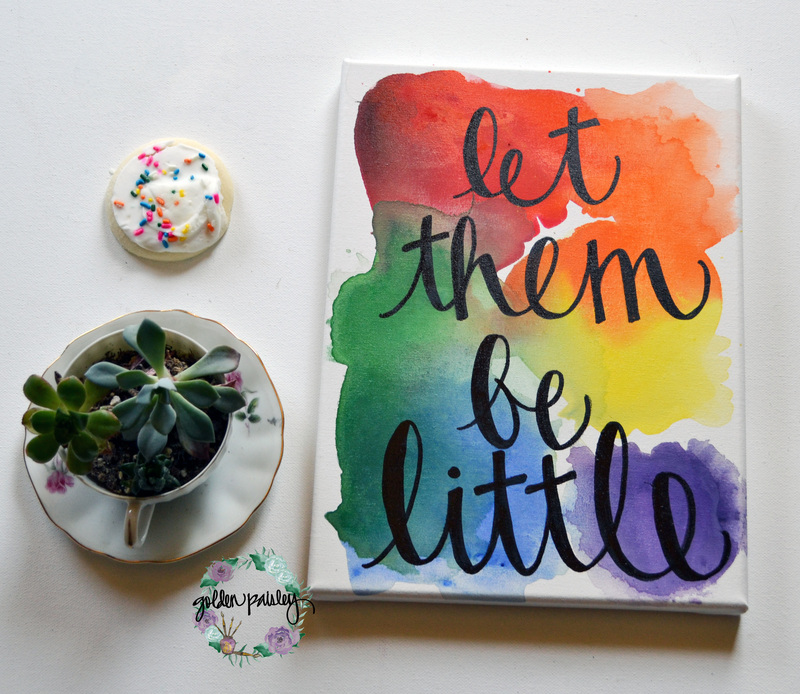 I absolutely love the quote on this canvas, “let them be little,” to remember that each day is a celebration and a gift.